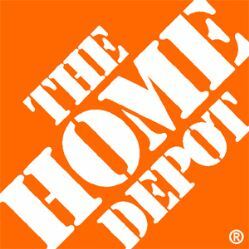 After three years, a high-profile pro-family organization is suspending its boycott of The Home Depot because of the retailer’s support of homosexual activist groups and events. In a message to supporters on Thursday, AFA president Tim Wildmon acknowledges knowing the boycott was a “huge task” to undertake, but “I knew we had a lot of friends who would stand with us.” AFA reports more than 750,000 people signed an online pledge that they would not shop at The Home Depot. Executives at the Home Depot have regularly rebuffed the AFA at shareholder meetings, ignoring the boycott entirely. In the past, AFA claimed that Home Depot was doing less to warrant a boycott, but continued the boycott anyway. It thus makes no sense that the boycott has ended now — when little else has changed — except that AFA has given up on the ineffective campaign. Well, I wouldn’t expect a supremacist hate group to say, “we failed and now we’re going home to shut up about things.” It would be nice, but the American Family Association isn’t known for its honesty.